Johannesburg – The Arts and Ubuntu Trust is proud to present ceramicist S’bonelo Tau Luthuli’s collection SONG OF THE SOIL (Ihubo leNgabadi) – CERAMIC WORKS from 4 to 29 May 2016 at the Constitutional Hill’s Women’s Prison at 6pm. 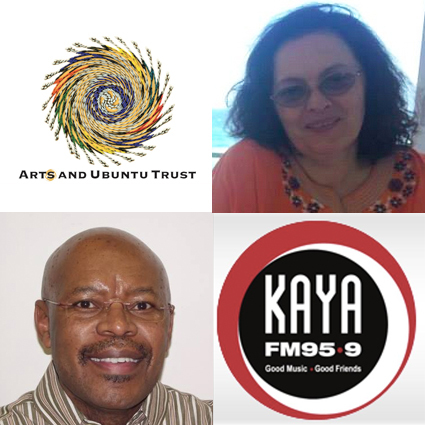 The Arts and Ubuntu Trust, formed in 2005 to honour and preserve the legacy of the internationally recognized South African painter and sculptor, Ernest Mancoba (1904-2002), has done extensive arts education and development work in peri-urban and rural areas. Between 2006-2007, the trust organized a commemorative exhibition In the name of all Humanity, the African Spiritual Expression of Ernest Mancoba that showed for nine months at the Gold of Africa Museum in Cape Town. With its outreach project from this exhibition, The Ernest Mancoba Education Poster Project (EMEPP the trust, travelled the length and breadth of South Africa, with a total mileage of more than 30 000 km. The EMEPP exhibited films and posters of Mancoba’s works, while concurrently running workshops, in partnership with leading artists Peter Clarke, Lionel Davis, Charles Nkosi and others who contributed as teachers. This programme reached more than 2000 artists, teachers and students of the arts in peri-urban and rural areas in all nine provinces of South Africa. Art produced in these workshops formed an exhibition, Widening the circle, in the spirit of Mancoba, which travelled to Pretoria, Kimberley, Durban, Polokwane, Eastern and Western Cape from 2012 to 2015. The trust is now making short films about the arts aimed at audiences in peri-urban and rural areas nationally. It continues to develop outreach educational work under the umbrella of its Travelling Arts Institute. The Institute, which promotes and trains young artists, documents indigenous visual heritage and encourages practical learning exchanges between experienced and new artists, is developing an annual intensive portfolio school to provide an entrance mechanism for young artists into arts studies and a career. Through it’s outreach projects, the trust identifies young artists whose work deserves exposure. Luthuli is the first beneficiary. This 34 year old’s love for ceramics developed when he was still in high school where he participated in visits to galleries and museums. “We went to the Durban Arts Gallery and I saw Clive Sithole’s work. His pot was beautiful, big and orange. I loved the uniqueness of his work and how it was designed. From that point I knew that was what I wanted to do,” said Luthuli. While Luthuli’s desire to pursue this profession arose from a chance visit to an art gallery, few of South Africa’s population visits museums and galleries, only 2% are exposed to these facilities and this lessens chances of ever considering a career in the arts. Luthuli thrived against all the odds. He was brought up in a background where art was not considered a career and, like 95% of young South African artists, he did not have the tertiary institution entry requirement of an art portfolio. He therefore needed to enroll for a foundation programme prior to his admission into art studies at Durban University of Technology. He was further challenged by not having financial backing, which forced him to leave university. He worked at KFC as a waiter and returned to finish his studies later. 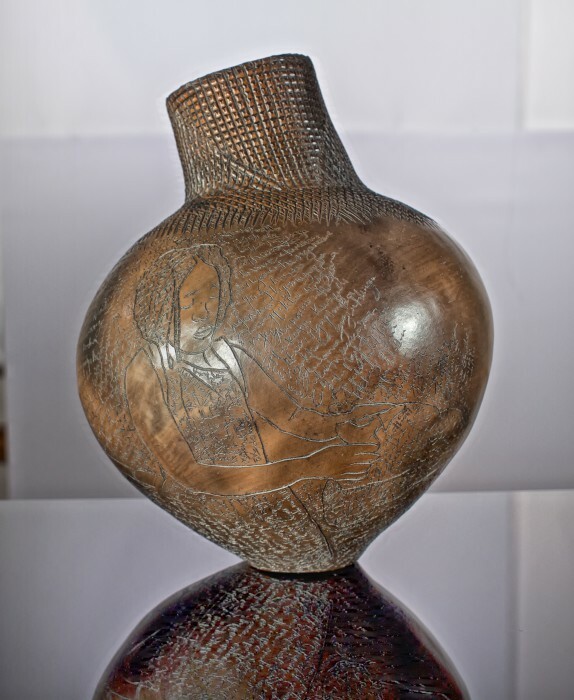 Luthuli’s autobiographical collection of pots, to be exhibited 4-29 May 2016 at the Constitutional Hill’s Women’s Prison, are a demonstration of resilience. His journey is characterized by family resistance and a painful experiences but his pots are an inspiration that even the most unpleasant life experiences can be turned into positive results. Through his rare artistry embedded in the pots, the inscriptions are a narrative of his journey. Take for instance the inscription on the piece Relebohile Lepheana, named after his ex lover to whom he had been, but the relationship didn’t stood the test of time and it weighs heavily on him with hurt. Another is Heredity – Passed On/Ufuzo Liyadlulela, which demonstrates complex family relations. The inscription describes how his work and talent was despised in his father’s house, yet it is a gift that he had inherited from within the family roots and ancestry – a spiritually nurtured talent. “ My depiction draws its content from religious, political, traditional practices, heritage, customs and aspects of the dynamics of life in general. These impulses draw their character from love, anger, hate, pain, resolve and happiness. Each work, as it is in process towards completion, is modelled with the spiritual powers that can be experienced by me (the artist). 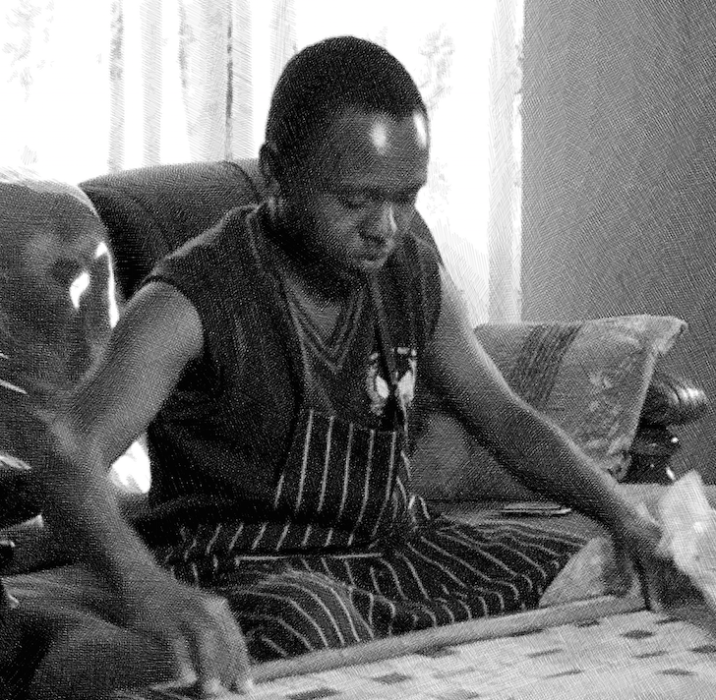 The work heals, endows and interacts with my mental, physical and emotional state of wellbeing,” says Luthuli. the shape, detail and emotion of Sbonelo’s pots all seem to be fused together. Arts and Ubuntu Trust is proud to launch ceramicist S’bonelo Tau Luthuli’s collection SONG OF THE SOIL – CERAMIC WORKS on 4 May 2016 at the Constitutional Hill’s Women’s Prison at 6pm. Luthuli’s exhibition which will run until 29 May 2016, was made possible with sponsorship from The Department of Arts and Culture’s Mzansi Golden Economy Fund. Sample pages. Contact our office for a copy of the complete catalogue. In the Arts and Ubuntu Trust’s 10th year we are appealing for contributions to support the trust’s ongoing Arts Educational work.